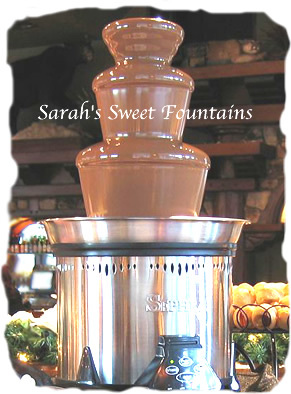 NEW PRODUCT ALERT - Liquid Chocolate Fondue for Fountains! YOU WANTED IT - WE GOT IT!! Save time and hassle with this NEW liquid fountain chocolate! No need to pre-melt! Just pour, heat and go!! 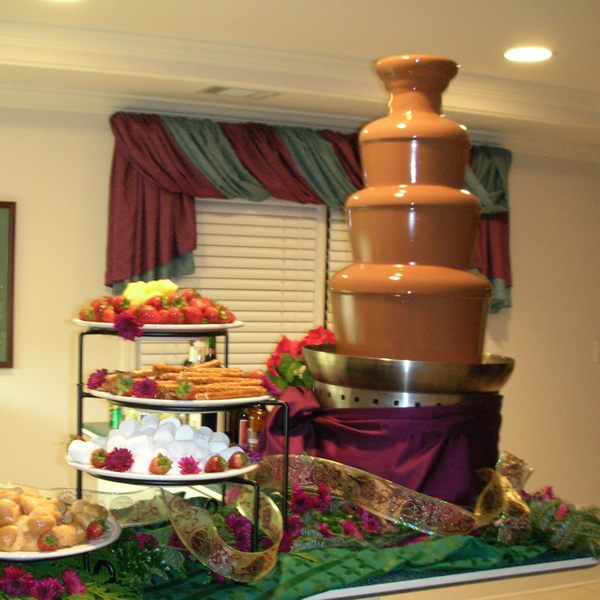 The ultimate experience in chocolate fountains is ChocoLava! ChocoLava has a continual flowing and non-hardening effect so you do not have to worry about chocolate clogging up the fountain! Clean-up is easier because the chocolate stays liquid even after the fountain heat is turned off! No oils necessary, no heating or double-boiler required! 40 lbs. (4 x 10 lb Gallon containers). BULK - Perfect for high volume commercial use! You are currently browsing the archives for the Sarah's Sweet Fountains category.